Such a happy planner, this yellow landscape printable weekly planner. Download the PDF file via the 'Free download' button above and print the weekly planner at home. This weekly planner looks really cute and it'll make you instantly happy when looking at it. Looking for other colors? 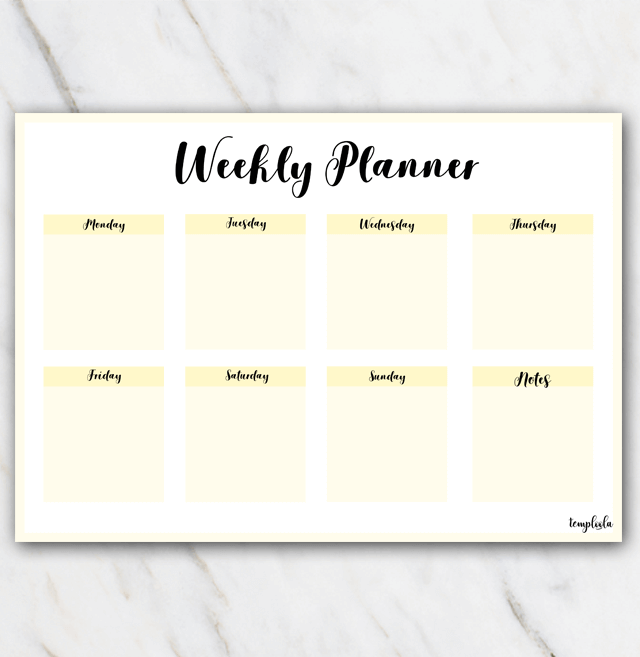 No worries, check out the other printable weekly planners!